In the past few years, Zoom has become a verb: the act of video conferencing someone. Eight years ago, Eric Yuan, former VP Engineering at WebEx left to create a business with a better video conferencing product. He and his team authored a new codec, which is far more resilient than others. The innovation results in higher quality calls. Focused on capital efficiency from the earliest days of the business, Eric has built a monster software business, with few comparisons in both absolute scale and efficiency. The company filed their S-1 on Friday. The company grew from $61m to $331m in revenue in the past three years. 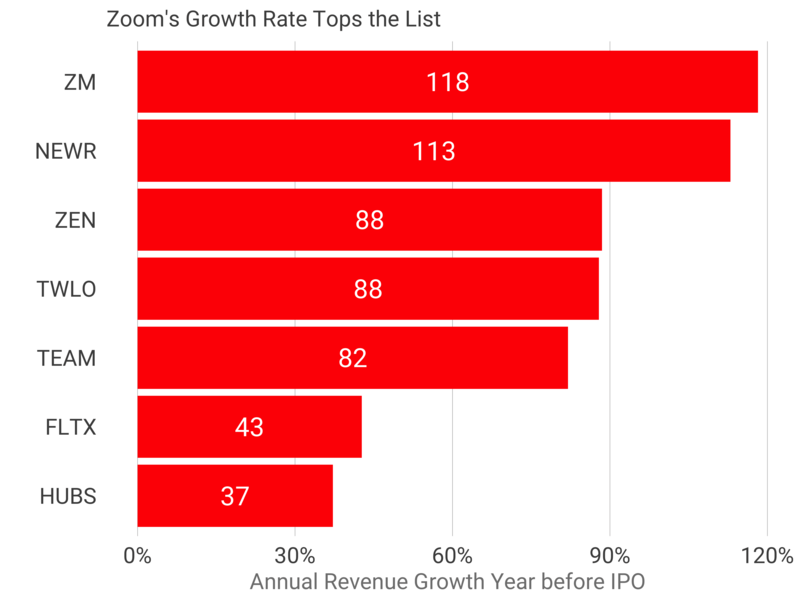 Zoom, growing at 148% and 119% in ‘18 and ‘19. 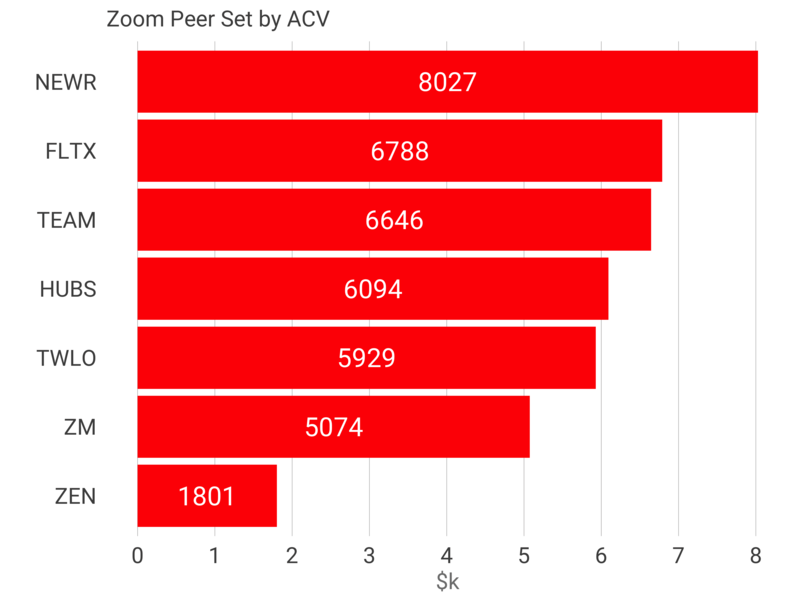 Let’s put Zoom’s growth rates into context by comparing them to others within similar ACV ranges. Even at Zoom’s scale, across this peer set, Zoom is the fastest growing, edging New Relic by 5 percentage points. 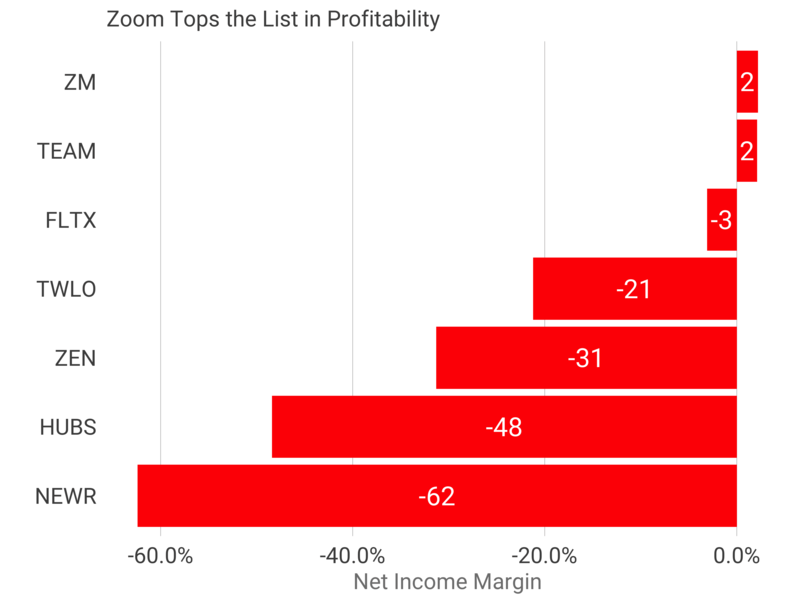 In addition to the terrific growth rate, Zoom has grown profitably with 2% net income margin recorded last year. Only Atlassian and Fleetmatics have charted similar numbers in the year of the IPO. One key driver of profitability is labor-market arbitrage. Nearly one third of Zoom’s team, and the majority of its engineering team is based in China. 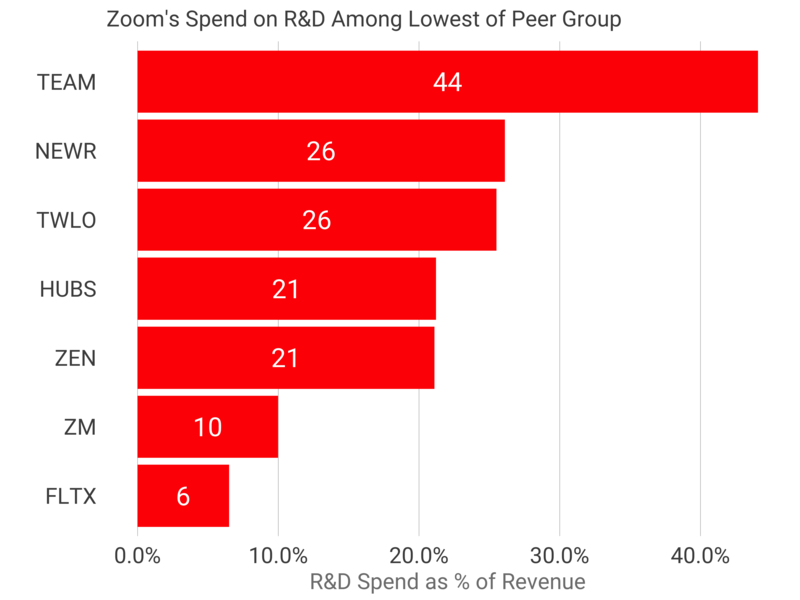 The result is the company spends less than 10% of its revenue on R&D, which is less than half the median of the peer set. 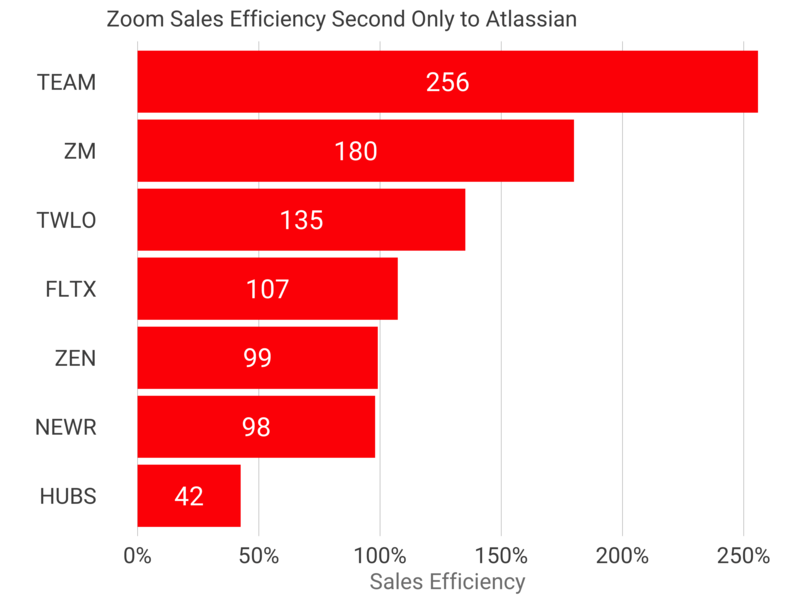 In addition to reduced labor costs, Zoom benefits from a 1.8 sales efficiency, meaning one dollar of sales and marketing spend results in $1.80 of gross profit in the next year. This is second to Atlassian. This math also implies a payback period, gross margin burdened, of less than 7 months. The public median is 18 months and the private median is 14 months. These customer acquisition paybacks resemble consumer acquisition figures more than software. 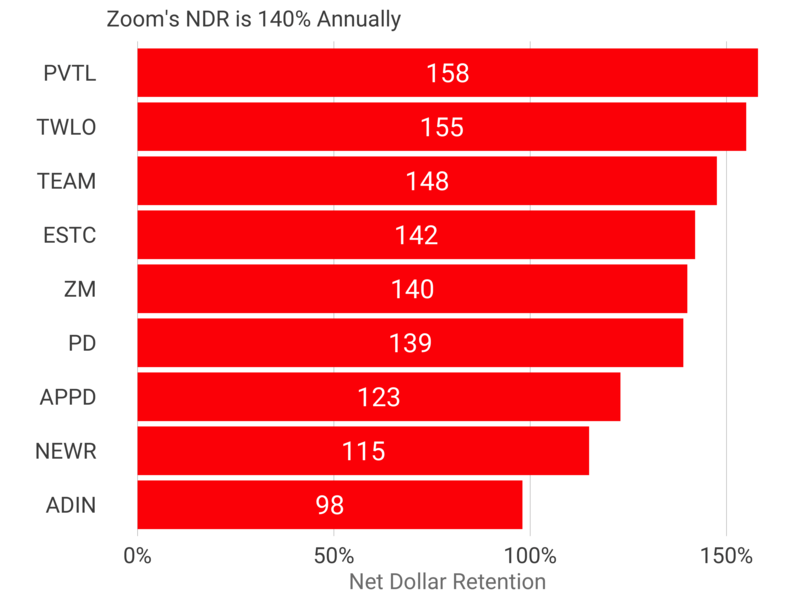 If we examine net dollar retention, the current value of last year’s cohort today net of churn and gross of expansion, we see Zoom is in the top decile at 140%. In other words, customers who started paying Zoom last year pay 40% more this year, including the ones who have attrited. These metrics are the result of exceptional product market fit. Exceptionally fast and efficient growth define Zoom, the next iconic video conferencing platform. 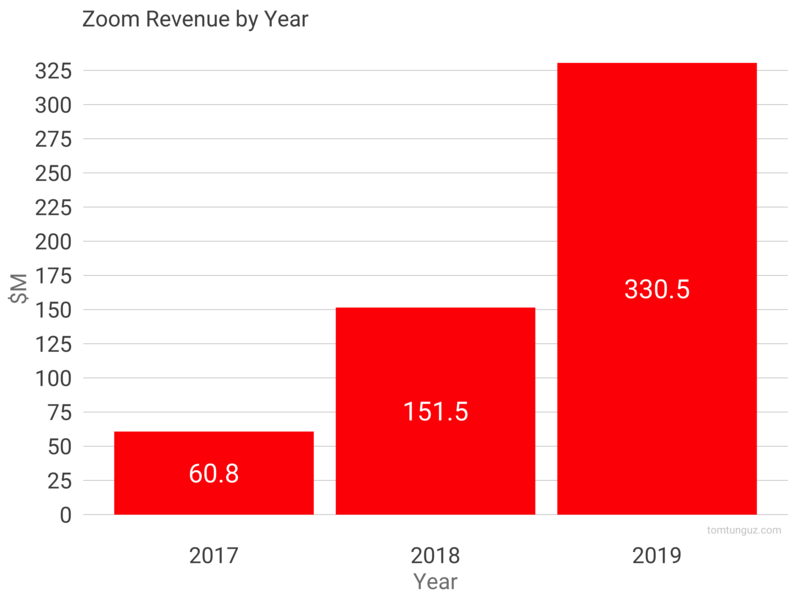 Expect this business to fetch stellar multiples, most likely similar to Atlassian because the revenue, growth rates, sales efficiency and profitability metrics are comparable. Congratulations to the team!